AAP has extensive noise and vibration testing capabilities both on site as well as off-site in a mobile environment. On site testing include sound absorption testing (impedance tube and reverberation room methods), sound transmission loss testing (impedance tube and reverberation room methods), sound identification (scan and paint method), noise path analysis, sound and vibration characterization (Test.Lab software & hardware) and VBT damping measurement system (ASTM E-756) using an environmental chamber. 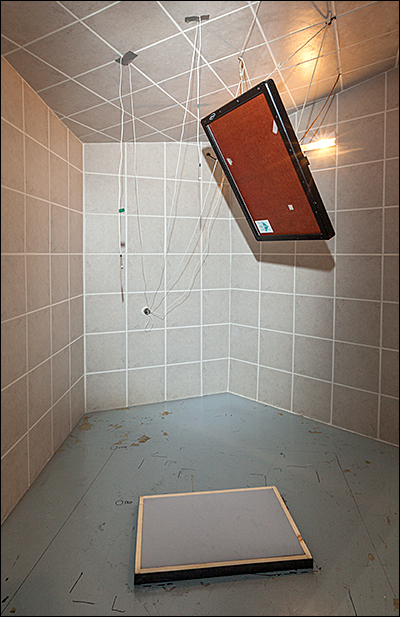 AAP has recently completed the build of a semi-anechoic room made with recycled materials. Such room is roughly 170 m³ and includes a small Alpha cabin with non-parallel walls of 10.9m³ in size. 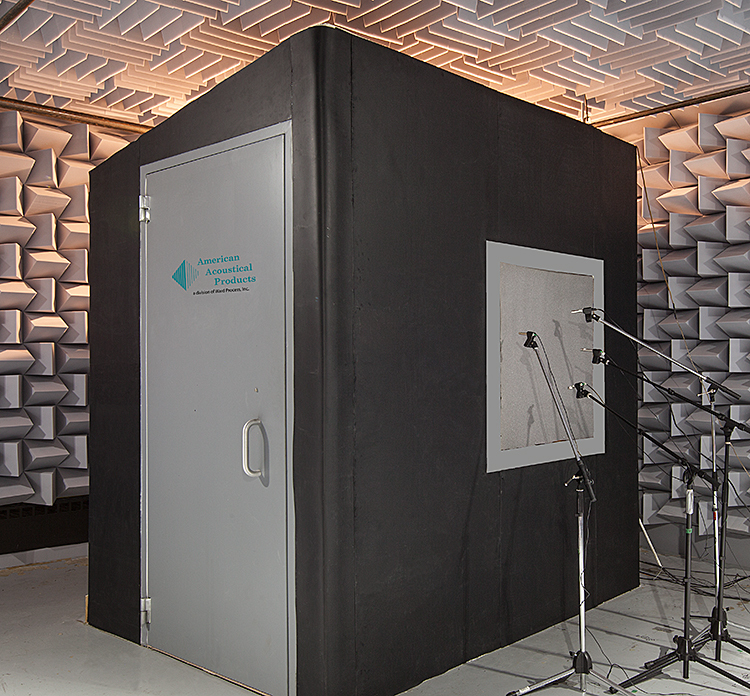 Both rooms can be used for sound transmission loss testing, meanwhile the reverberation room alone can be used for ASTM C423 testing or SAE J1400 testing of sound absorption. AAP can perform a full suite of tests at a customer’s site by using the mobile data acquisition system with the Test.Lab software. It has a GPS sensor which embeds in the recording the location, speed and acceleration and can also embed the vehicle CAN bus data. This is particularly useful for drive by and pass by noise measurements as well as for any in vehicle noise identification and verification testing. The SCADAS Recorder is seamlessly integrated with the Test Lab software for noise and vibration testing and analysis, delivering optimal data quality and consistency. Post processing the data we can extract the rpm data of the engine or propeller by following the analyzed peak levels thus allowing the extraction of source contribution levels. AAP also uses the impedance tube test method to measure sound transmission loss and sound absorption coefficient using ASTM C423, SAE J1400 and ASTM E1040 standards. This in conjunction with numerical predictive tools allows AAP to provide a full characterization of sound absorbing materials as well as assemblies of such materials to optimize the maximum performance per unit thickness or per unit cost.